GENTLY DRY MASALA CONSISTS OF 2 TYPES OF GRAPES: THE CRICKET AND THE CATARRATTO. 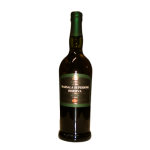 FOR OVER 5 YEARS OLD IN SMALL DRUMS OF CHERRY AND OAK barrels OR AGED FOR 3 MONTHS IN A BOTTLE. HAS A TASTE AND DRY WITH AN AROMATIC ALCOHOL CONTENT OF 18 DEGREES. Chilled as an aperitif with salted almonds, FIRST SALE, Parmigiano Reggiano and Grana Padano, but also delicate dessert wine.